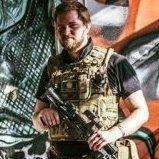 just wondering, are there any sort of 'annual big games' going on in airsoft, sort of like the big games they have each year in paintball? NAE was 1700 last year, apparently. There's a fair few Military Simulation style, high realism games that go on through the year, lasting between 1 and 3 days, they usually have a turnout over over 150 people. I was thinking we could have an AF-UK day, but it wouldn't be very big as travel is always an issue and I don't thinking hyping it up outside of the forum would be a great idea necessarily. I'd be up for a forum game. What site we using dev? Could we aim to use a site more towards the middle of the country? I get annoyed at the number of special events that happen down south.